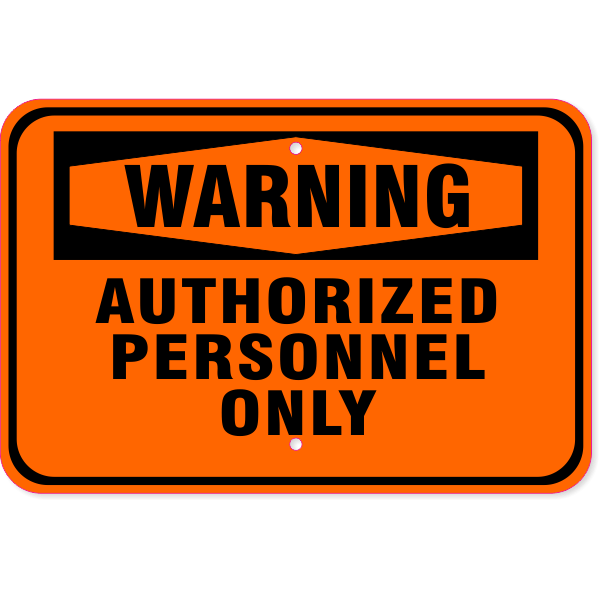 Visibly warn employees and visitors that an area on your property is strictly for authorized personnel only. Our brightly colored orange and black aluminum warning sign is made from the highest quality workmanship and made to last. Customsigns.com's line of workplace safety and caution signs are made of the highest quality materials and are made to last.